What? 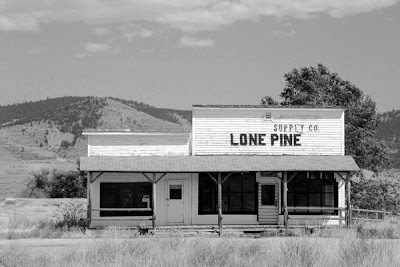 You say you've never been to Lonepine, Montana? Well, why the heck not? You know, the scary thing ... I spent the weekend in a place called Polebridge, Montana, which is totally off the grid. Literally miles from the closest electric transmission lines. Propane lanterns in all the buildings. And a little generator, just so people could have their WiFi.